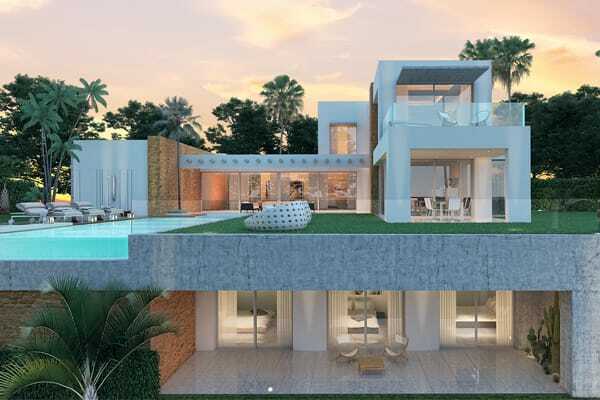 Rio Verde Playa is one of the most impressive frontline beach projects in Marbella, the only modern contemporary design on the Golden Mile on walking distance to both Puerto Banús and Marbella. 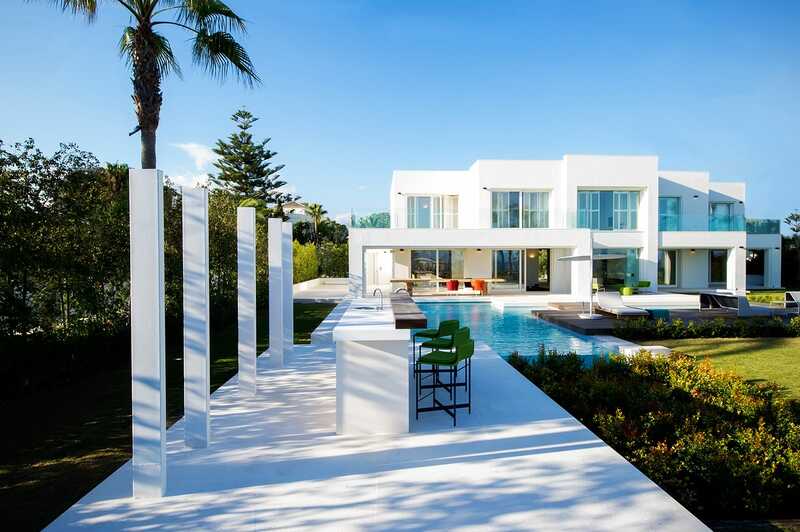 The modern villa, which total refurbishment was completed in summer 2014, combines the very best of modern architecture with the ultimate in interior, installations and technology. The approx. 1.000 m2 constructed area are distributed amongst 3 levels with 7 bedrooms and 7 bathrooms. The basement consists of a laundry room, machine room, a bar, cinema room, sauna, gym and a guest bedroom en-suite (self-containing with seperate entrance) which can be used for staff. The garden area contains a massive 80 m2 heated pool surrounded by decking. 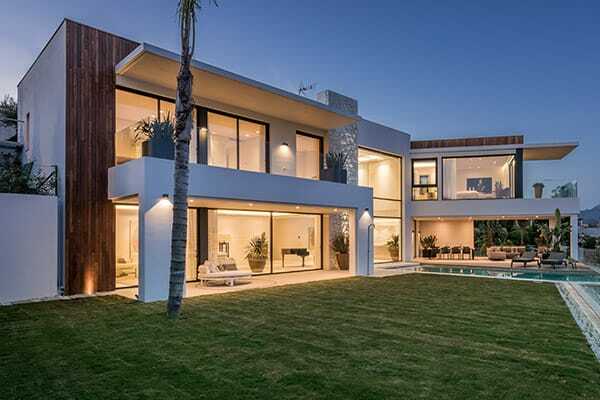 An exceptional property, for its unique location and pure modern architecture.